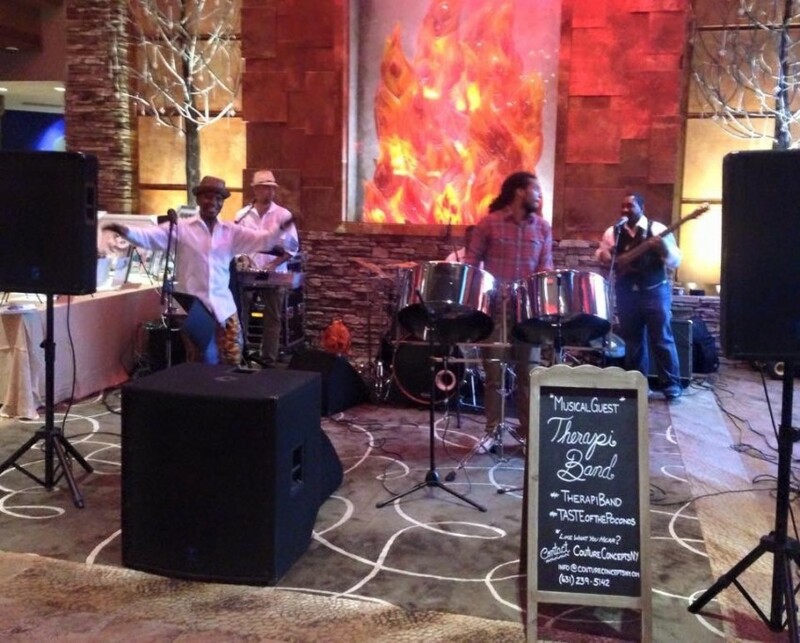 Therapi band features the steel drum with vocals in a five piece ensemble, they cover Reggae,Calypso/Soca,Caribbean and other world music anthems of the past and present and is perfect for your Private Party,Wedding and corporate event. 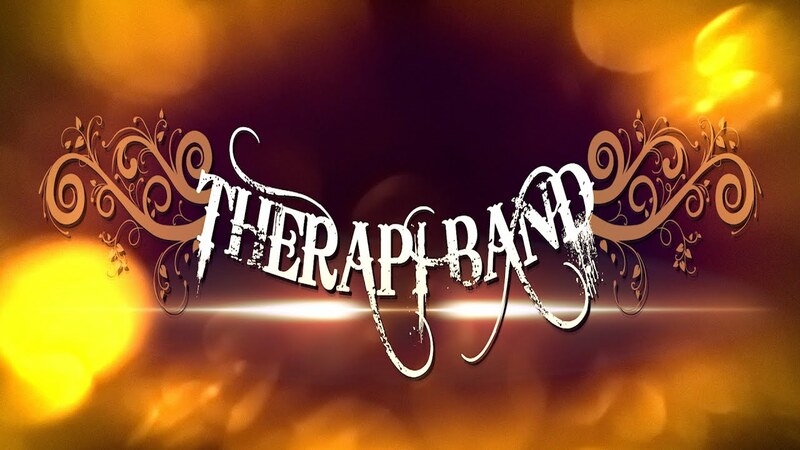 Therapi Band has performed for a countless number of events including wedding receptions, cocktail hours and ceremonies, as well as for corporate events, high-end restaurants, college campus events, casinos, festivals, country clubs, and more. The band leader, Keet Styla has been in the music industry for over 35 years and created Therapi Band in 1998. He wanted to create a band with magic to perform music with soul. 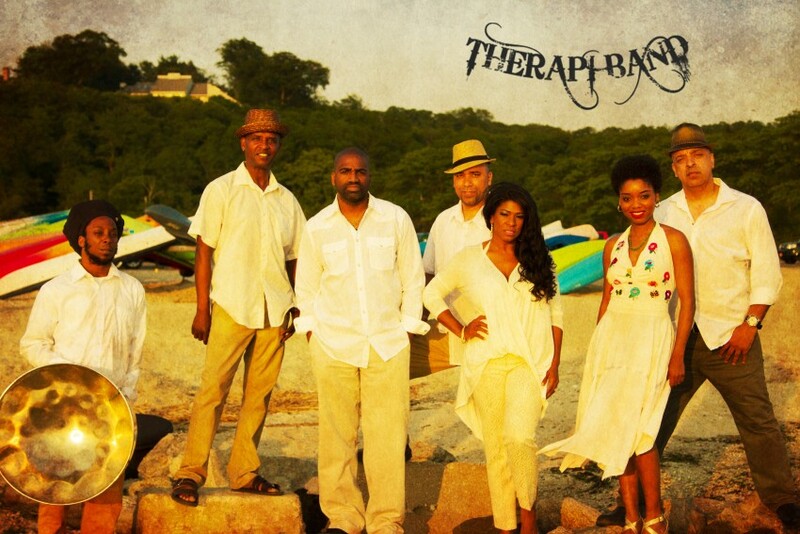 Ladies & Gentlemen, Meet Therapi Band! Whether it is a Festival, Private Party, Wedding or Corporate Event this band captivates its audience and transforms them to a world filled with unforgettable pleasure. Book us for your next event and we will take it from there, your guest will rave about what an exciting and exhilarating time they had. This is my testimonial for this Outstanding Band. I had my 40th Birthday Party On October 10, 2009 and hired the band to bring something special to my important day and it worked out great. I found out about the band at a Happy Hour spot me and a few of my fellow co-workers go to in the summer in Florham Park. Since I was going to Jamaica the day after my party I thought what would really get me in the mood and the Therapy Band jump into my head. Very Professional, Outstanding Sound, Impeccable Vocals I could not have asked for anything better, they arrived right on time and got down to business, IT WAS GREAT. Yes I will have these guys on speed dial and will try to keep my cousin from attacking them everyone loved the band wish I could have kept them longer. The band has an awesome set of popular Reggae tunes...including lots of Marley done perfectly. They moved seamlessly between songs and play at an appropriate volume for the venue. I would recommend them for a true "Islands" experience. Everyone in the band was very pleasant and a pleasure to work with, especially Keith, who did the booking. I would hire them again for a great party. All the guests enjoyed their sound! The Therapy Band was fantastic. I would recommend them to anyone. They made our wedding very special. They are excellent musicians, kind people, and very entertaining. I could not have asked for a better band, and I don't think I would be able to find one if I tried. Watch out for Sanji the sax player...if he doesn't steal the show he will steal the hearts of all the women in the audience. Not only was the band wonderful but they worked with us very well, and were very helpful in making sure everything ran smoothly. The woman who makes all of the announcements has a soothing voice, and is very kind. The Therapy Band was absolutely fabulous. Keith and the guys with Therapy Band were great! I have already reserved them for future performances at my bar. Great talent, and they were set up on time. They played to the crowd which was great. We could not have been happier with Therapyband. They played at my husband's birthday party in a tent at our home and had everyone up dancing. Guests that I have spoken to since the party have made a point of commenting on how excellent the music was. Keith was a pleasure to deal with and the whole band was very professional. I would highly recommend them for any event.